WeatherBrains Episode 359 is now online (December 10, 2012). If you are crazy about weather, this is THE netcast audio program for you! Bruce Thomas is live tonight with Bill Murray and Bruce is tonight’s Guest Panelist. 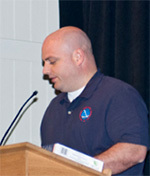 Bruce is a WeatherBrains Alum, having appeared several times. 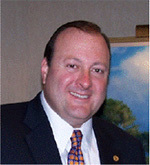 He is a Vice President at Midland Radio and is known in most circles as Mr. WeatherRadio. Bruce is also the President Elect of the National Weather Association. Joining us tonight as our Guest WeatherBrain is Kevin Laws. Kevin is the Science and Operations Officer (SOO), at the National Weather Service Forecast Office in Birmingham. WeatherBrains 101: We’re nearing the start of winter, so it is time for forecasters to start thinking about compensating for snow in making temperature forecasts. So this week the 101 segment looks at what snow cover can do to a temperature forecast. TWIWH: Bill Murray takes a week off from TWIWH. Brian Peters – Gets the Fog Horn! JP Spann – Joins Brian in getting the Horn! His Dad stole his pick! The WeatherBrains crew includes your host, James Spann, plus other notable geeks like Nate Johnson, Bill Murray, and Brian Peters. They bring together a wealth of weather knowledge and experience for another fascinating netcast about weather.